Thatched Cottages in Chaponval - night. 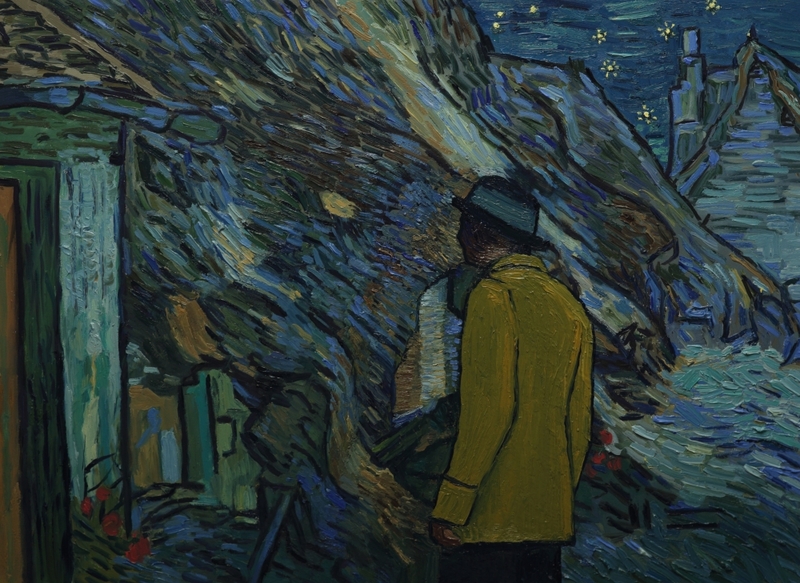 In the ‘Vincent was shot’ theory, it is speculated that the shooting could have taken place in a barn in Chaponval. We searched through Vincent’s Chaponval paintings to find a barn, and chose ‘Thatched Roofs in Chaponval’. It seemed appropriate given the dark narrative of this theory, that we should have a night-time scene in this location. 100 Limited Edition prints will be sold, each measuring 67cm by 49cm. 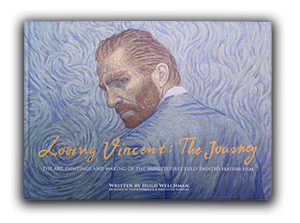 The image has been Giclée printed onto high quality Matte Fine Art Cotton Canvas, hand signed and numbered by Loving Vincent co-directors Dorota Kobiela and Hugh Welchman. Prints can be delivered rolled, or mounted on hardboard with a thick coloured cardboard passe partout and will be shipped from the beginning of November. I'm not a robot: 2+6=?